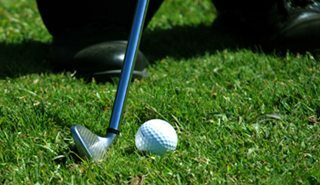 Do feel embarrassed when you muck up a short game shot in front of your playing partners? Find out exactly how far back you should swing for a chip shot, to get the most consistent results.How to hit your short game shots automatically with your subconscious mind so your conscious mind doesn’t interfere. Short game is now the best part of his game! So when you get The Short Game Improvement program today, worth $222, and all of these bonuses worth $301.95, it will only cost $67. That’s a saving of $456.95! But, this amazing offer can be pulled at anytime. So click the ‘Add To Cart’ button below and start to build a great short game in the next 5 minutes, because everything described on this page is digital so you get access to everything right after your order has been completed. Once you’ve successfully completed your order you’ll then be transferred to a secret page where you can get all the lessons in the ShortGame Improvement program plus the other bonuses. Well, that will never happen unless you take action and create better habits. And now for a tiny $67 you could have the short game you’ve always dreamed of. Now for such a low price of 67 bucks you could start to build your own tour quality short game – 100% guaranteed. Plus you get my help 100% FREE! That’s crazy value for you!